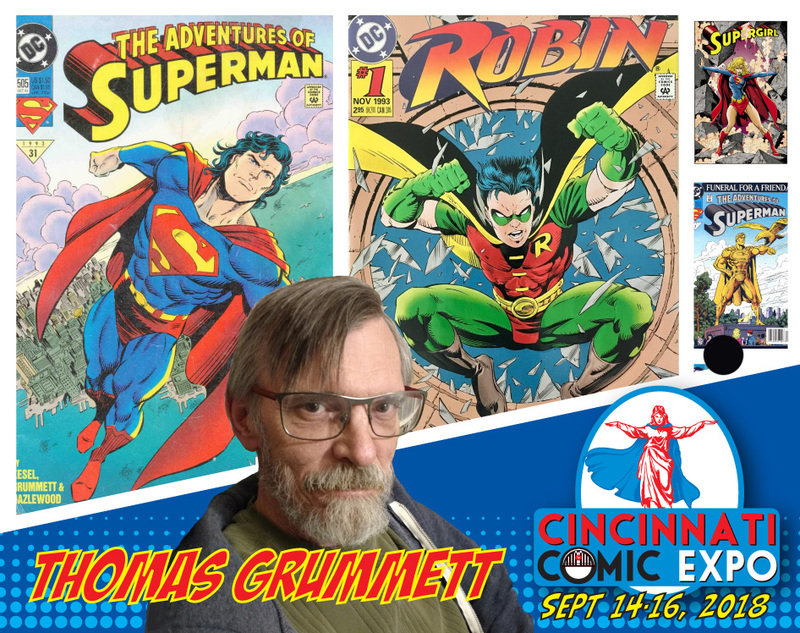 03/07/2018 – Legendary comic artist John Bolton will be making an extremely rare convention appearance at the 2018 Cincinnati Comic Expo! 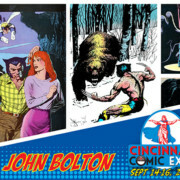 Legendary comic artist John Bolton will be making an extremely rare convention appearance at the 2018 Cincinnati Comic Expo! The paint style of this British illustrator in the ’80s is considered to have changed comic book artwork. 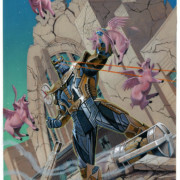 From his work on Marada and X-Men Classic with Marvel to The Books of Magic, Man-Bat, and Batman/Joker: Switch with DC, Bolton’s work is recognized by fans and artists worldwide. 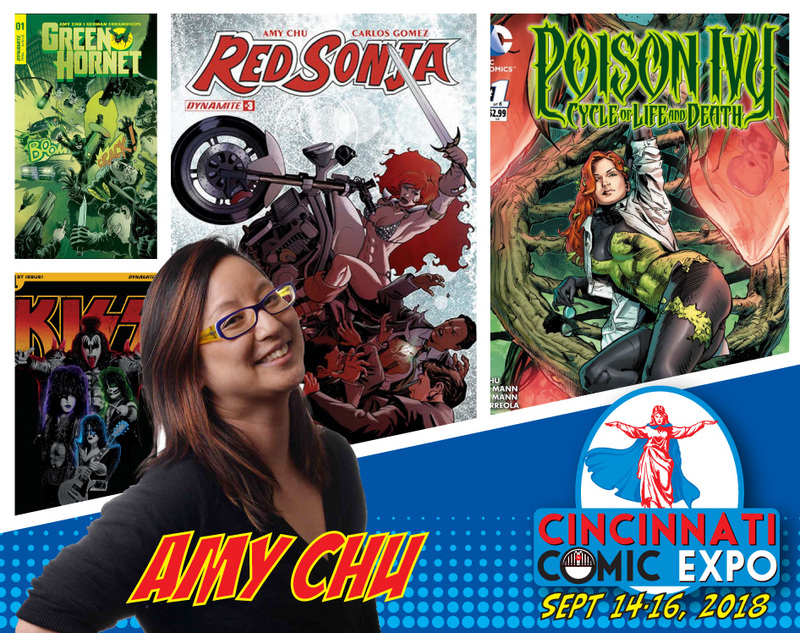 03/01/2018 – Comic guest writer Amy Chu will be attending her first Cincinnati Comic Expo! 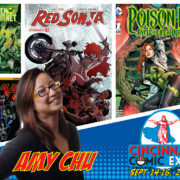 Comic guest writer Amy Chu will be attending her first Cincinnati Comic Expo! With both DC, Marvel and other publishers, Amy has credits on Green Hornet, Dejah Thoris, Red Sonja, KISS, Poison Ivy, Deadpool, and a variety of other titles. 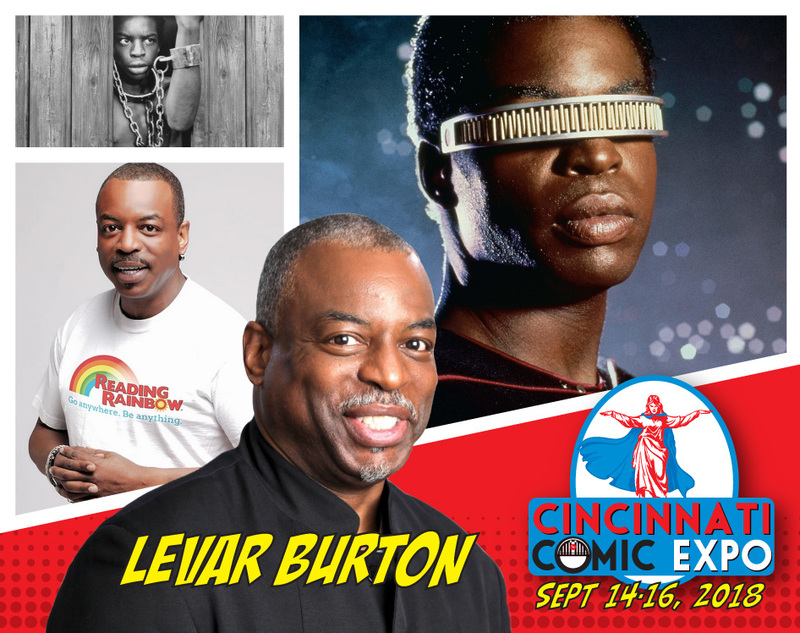 02/28/2018 – Our guest lineup hits warp speed with LeVar Burton joining us for the upcoming Cincinnati Comic Expo! 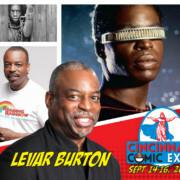 Our guest lineup hits warp speed with LeVar Burton joining us for the upcoming Cincinnati Comic Expo! After making his acting debut in the miniseries drama Roots, LeVar has entertained fans with his Emmy award winning work for decades on PBS’ Reading Rainbow, and has been widely recognized as Geordi La Forge on Star Trek: The Next Generation and following film franchise. LeVar has done voice work on numerous animated programs such as Captain Planet and the Planeteers, Superman/Batman: Public Enemies, and Transformers: Rescue Bots. 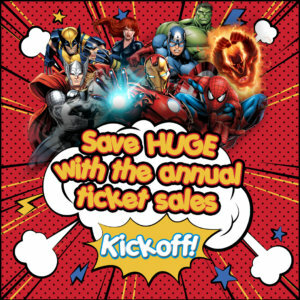 The television icon has also appeared as himself with numerous guest appearances and cameos on Community and The Big Bang Theory. 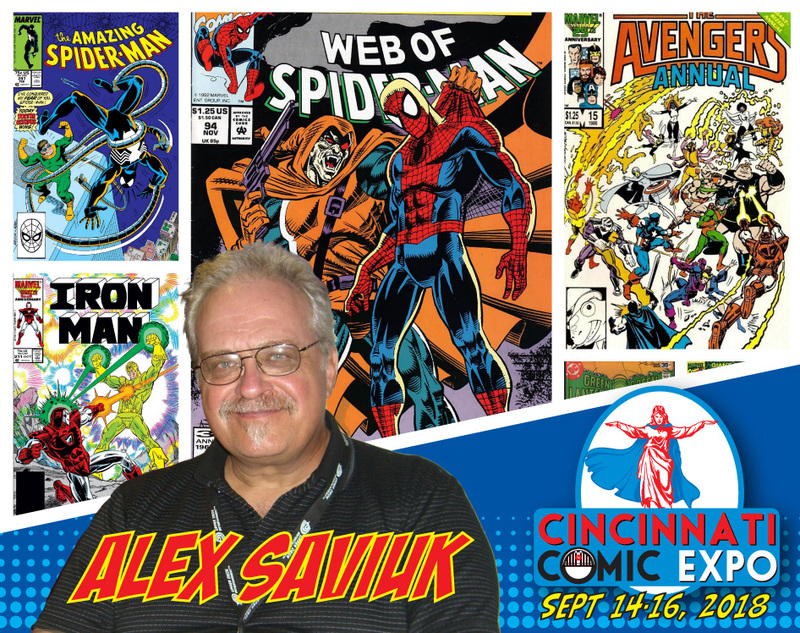 02/27/2018 – Comic artist Alex Saviuk is returning to be a guest at the Cincinnati Comic Expo! 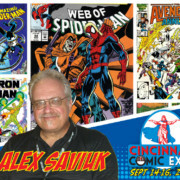 Comic artist Alex Saviuk is returning to be a guest at the Cincinnati Comic Expo! 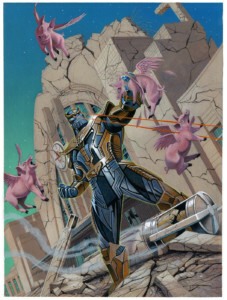 Saviuk is known for his illustrative work with both DC and Marvel on numerous titles and series including Superman, The Flash, Web of Spider-Man, The Adventures of Spider-Man, and so many other projects. 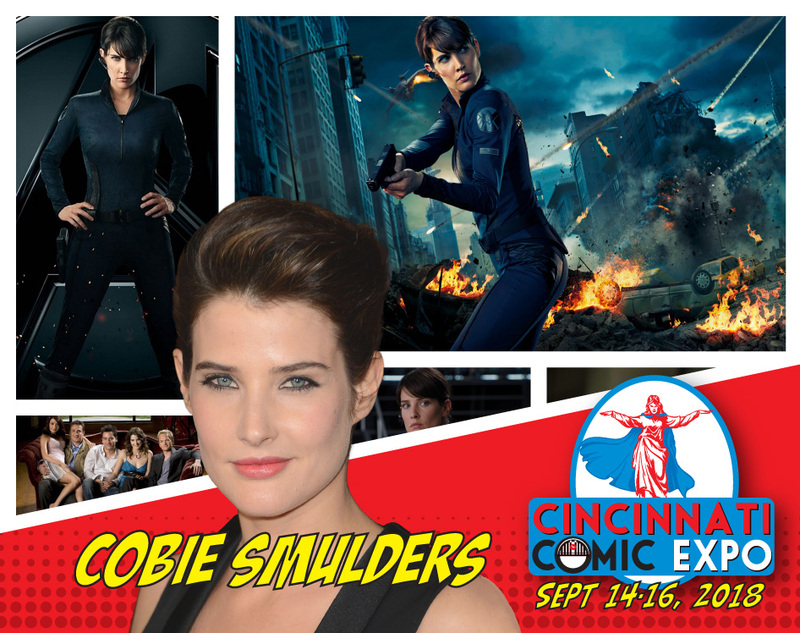 Fans can now tell their family and friends “How I Met Cobie Smulders” when they see her at the upcoming Cincinnati Comic Expo! Following her big break of 9 seasons on How I Met Your Mother, Cobie is currently cast as Agent Maria Hill in the Marvel Cinematic Universe. Between portraying Agent Hill in The Avengers, Captain America: Winter Soldier, Avengers: Age of Ultron, Cobie has appeared in other projects, such as The Lego Movie, Jack Reacher: Never Go Back, and Netflix’s A Series of Unfortunate Events. 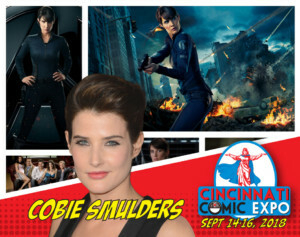 Meet Cobie on Saturday and Sunday to get an autograph and photo-op at the Expo this September. 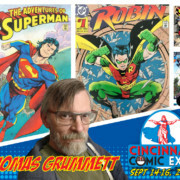 Comic artist Tom Grummett will be attending the 2018 Cincinnati Comic Expo. 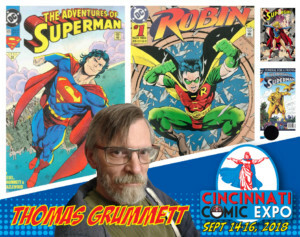 Grummett’s work with both DC and Marvel is recognized in The New Titans, The Adventures of Superman, Superboy, The Power Company, Robin, and Thunderbolts. 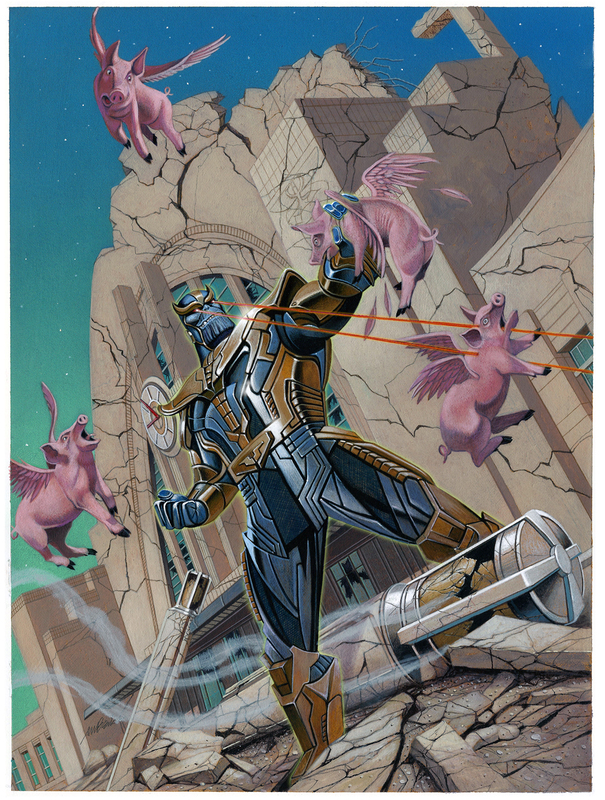 Following those projects, Grummett was an artist working with writer Chris Claremont on 2009’s and 2010’s X-Men Forever comic series.